She was left heartbroken on The Bachelor last year. But it looks like Cassandra Wood will find happiness again on Bachelor in Paradise, which premieres in the coming weeks. In a new trailer, the 24-year-old student looks smitten as she reveals she is ‘falling for’ one of the male contestants. 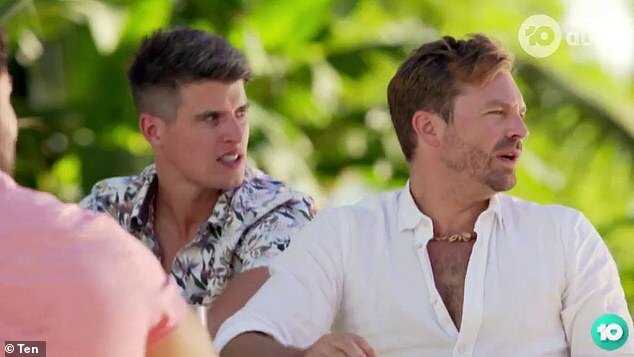 While it’s unclear who the lucky guy is, the promo shows Cassandra getting close to Richie Strahan, James Trethewie and Nathan Favro. Later on, Bachelorette ‘party boy’ Nathan is bowled over by Cassandra as she arrives at the Fijian resort in a low-cut orange jumpsuit. The bubbly blonde also catches the eye of financial adviser James, from Sophie Monk’s season of The Bachelorette. But it seems she decides to instead go on a single date with 2016 Bachelor Richie, as they are seen enjoying private time by the beach. Bachelor in Paradise brings together former contestants from The Bachelor and Bachelorette as they attempt to find love at a luxury island resort. The series will premiere on Channel 10 next month.